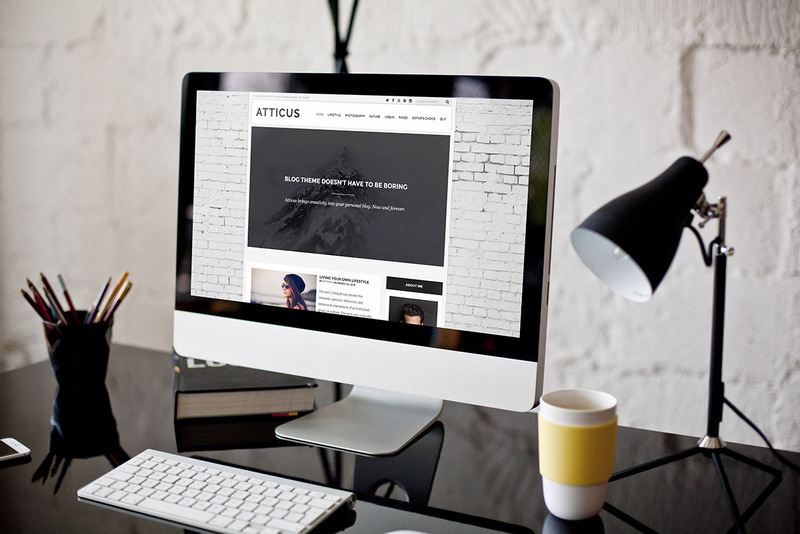 Atticus is a WordPress blog theme with an elegant and bold design. 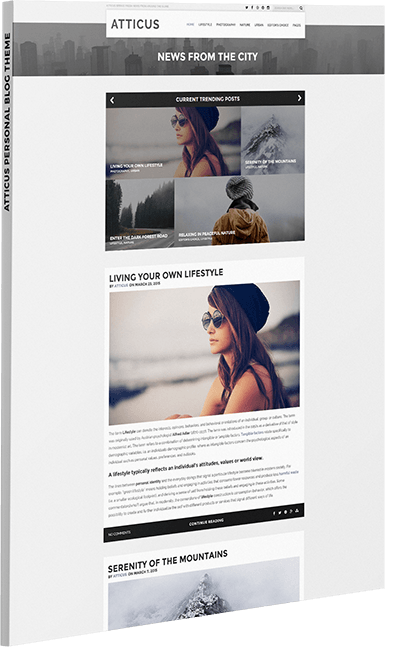 Its trendy hipster character is perfectly suited to a personal blog. 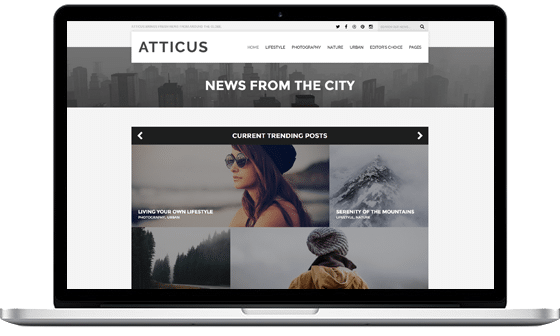 With Atticus you get right to the point – no unnecessary slideshows, animations or clutter, just the information that you need, presented in a clean and minimal way. 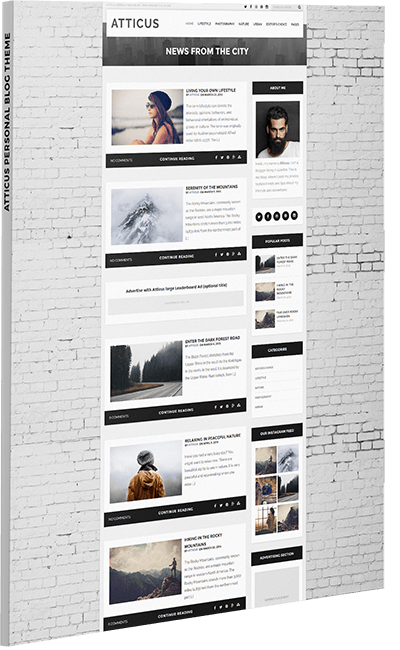 With Instagram, Facebook and Twitter widgets, all your key social media is covered, with no extra hassle. 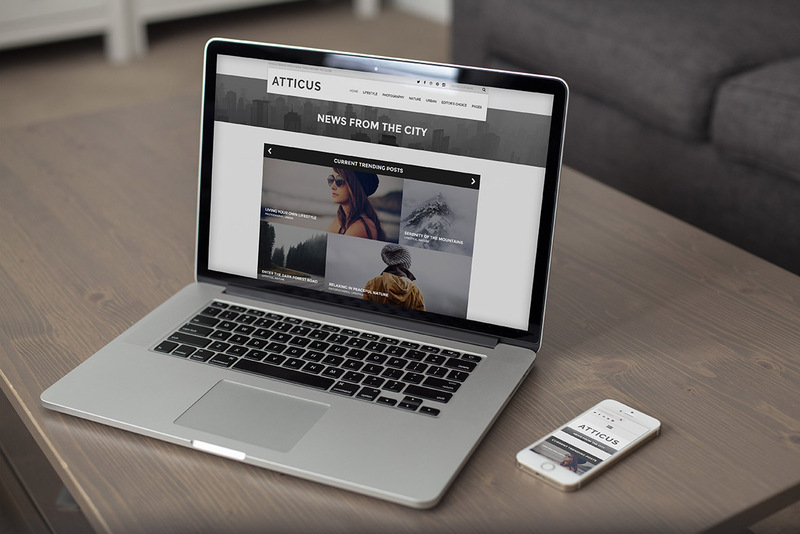 Atticus comes with both the default blog layout and a grid layout. 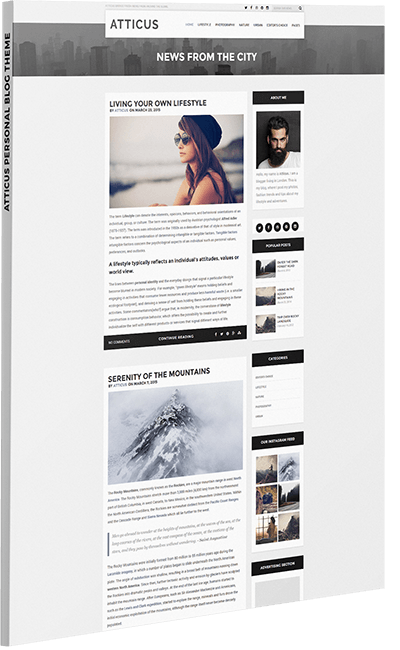 Both offer the option of being displayed in full width or with a sidebar, so you have four available layouts to choose from. 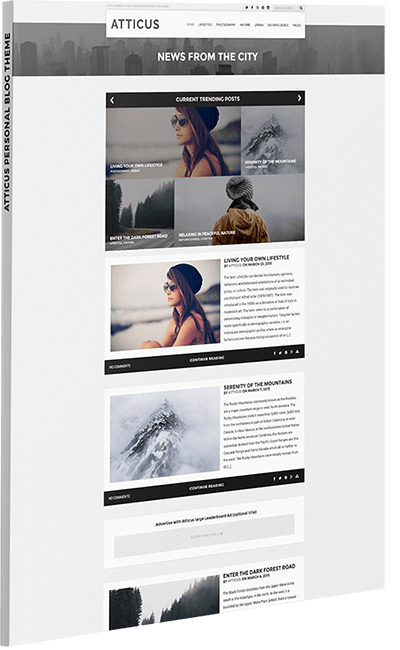 You can preview all layouts from our four live demos. 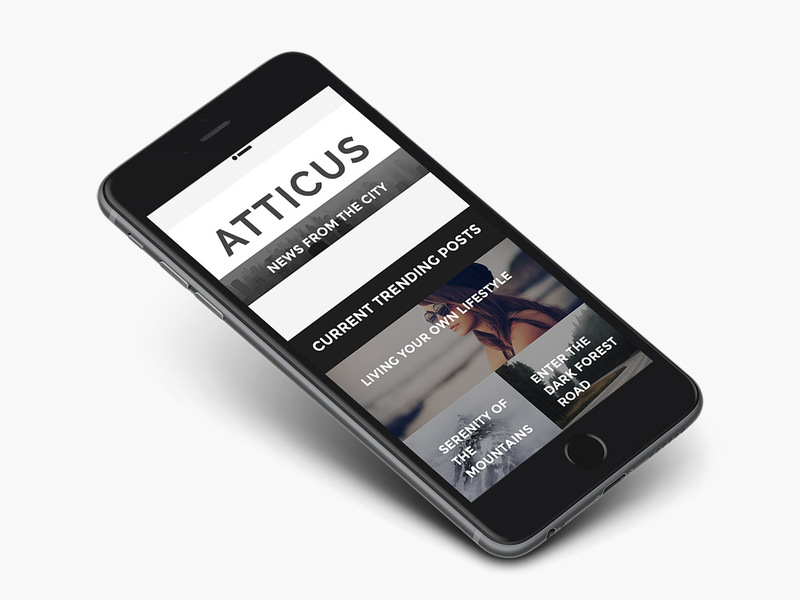 Atticus also gives you full flexibility to experiment with any combination of elements – quotes, full width posts slideshow, Instagram feed, About Us section, etc. 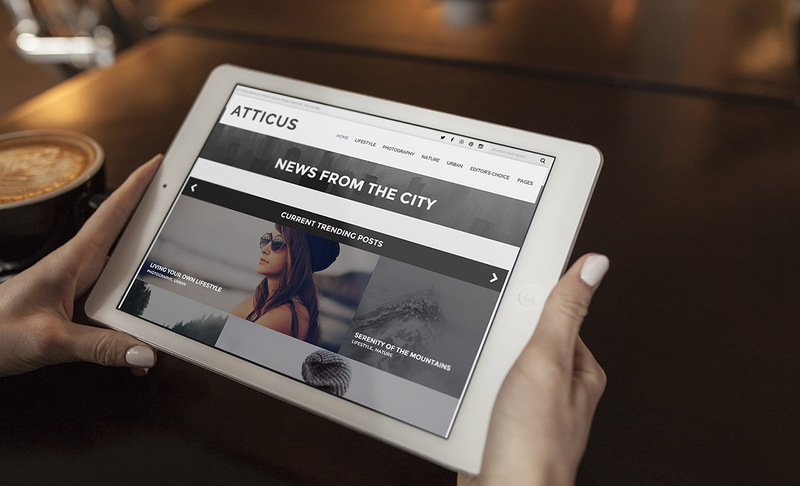 Atticus is fully responsive and retina ready, so you can be sure that it will look amazing on any mobile device.